Data match prediction for wave function theory, but more experiments are needed. A tiny, shimmying cantilever wiggles a bit more than expected in a new experiment. The excess jiggling of the miniature, diving board–like structure might hint at why the strange rules of quantum mechanics don’t apply in the familiar, “classical” world. But that potential hint is still a long shot: Other sources of vibration are yet to be fully ruled out, so more experiments are needed. Quantum particles can occupy more than one place at the same time, a condition known as a superposition (SN: 11/20/10, p. 15). Only once a particle’s position is measured does its location become definite. In quantum terminology, the particle’s wave function, which characterizes the spreading of the particle, collapses to a single location (SN Online: 5/26/14). In contrast, larger objects are always found in one place. “We never see a table or chair in a quantum superposition,” says theoretical physicist Angelo Bassi of the University of Trieste in Italy, a coauthor of the study, to appear in Physical Review Letters. But standard quantum mechanics doesn’t fully explain why large objects don’t exist in superpositions, or how and why wave functions collapse. Extensions to standard quantum theory can alleviate these conundrums by assuming that wave functions collapse spontaneously, at random intervals. For larger objects, that collapse happens more quickly, meaning that on human scales objects don’t show up in two places at once. Now, scientists have tested one such theory by looking for one of its predictions: a minuscule jitter, or “noise,” imparted by the random nature of wave function collapse. The scientists looked for this jitter in a miniature cantilever, half a millimeter long. After cooling the cantilever and isolating it to reduce external sources of vibration, the researchers found that an unexplained trembling still remained. 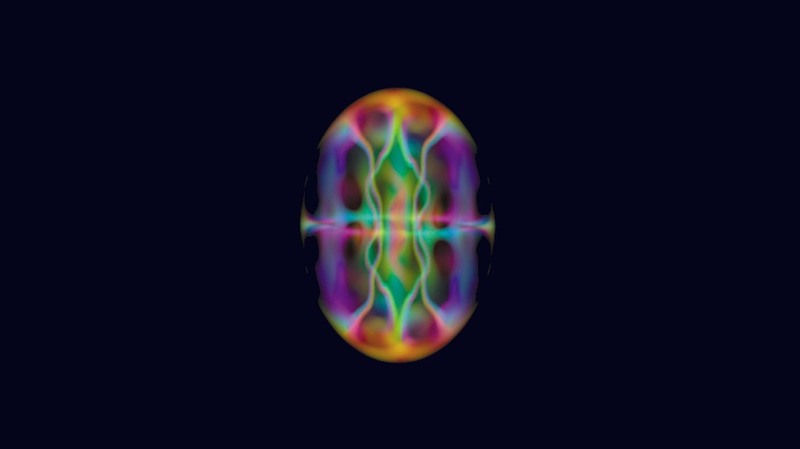 In 2007, physicist Stephen Adler of the Institute for Advanced Study in Princeton, N.J., predicted that the level of jitter from wave function collapse would be large enough to spot in experiments like this one. The new measurement is consistent with Adler’s prediction. “That’s the interesting fact, that the noise matches these predictions,” says study coauthor Andrea Vinante, formerly of the Institute for Photonics and Nanotechnologies in Trento, Italy. But, he says, he wouldn’t bet on the source being wave function collapse. “It is much more likely that it’s some not very well understood effect in the experiment.” In future experiments, the scientists plan to change the design of the cantilever to attempt to isolate the vibration’s source. The result follows similar tests performed with the LISA Pathfinder spacecraft, which was built as a test-bed for gravitational wave detection techniques. Two different studies found no excess jiggling Physical Review D] of free-falling weights [Physical Review D] within the spacecraft. But the new cantilever experiment tests for wave function collapse occurring at different rate and length scales than those previous studies. Two different studies found no excess jiggling of free-falling weights within the spacecraft. But the new cantilever experiment tests for wave function collapse occurring at different rate and length scales than those previous studies. An international team of researchers, including the MESA+ Institute for Nanotechnology at the University of Twente in The Netherlands and the U.S. Department of Energy’s Argonne National Laboratory, announced today in Science the observation of a dynamic Mott transition in a superconductor. The discovery experimentally connects the worlds of classical and quantum mechanics and illuminates the mysterious nature of the Mott transition. It also could shed light on non-equilibrium physics, which is poorly understood but governs most of what occurs in our world. The finding may also represent a step towards more efficient electronics based on the Mott transition. Since its foundations were laid in the early part of the 20th century, scientists have been trying to reconcile quantum mechanics with the rules of classical or Newtonian physics (like how you describe the path of an apple thrown into the air—or dropped from a tree). Physicists have made strides in linking the two approaches, but experiments that connect the two are still few and far between; physics phenomena are usually classified as either quantum or classical, but not both. One system that unites the two is found in superconductors, certain materials that conduct electricity perfectly when cooled to very low temperatures. Magnetic fields penetrate the superconducting material in the form of tiny filaments called vortices, which control the electronic and magnetic properties of the materials. 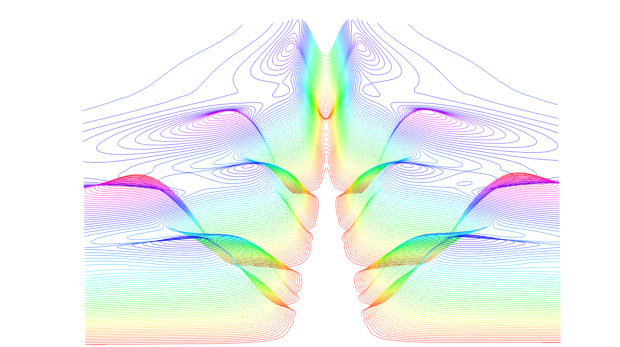 These vortices display both classical and quantum properties, which led researchers to study them for access to one of the most enigmatic phenomena of modern condensed matter physics: the Mott insulator-to-metal transition. The Mott transition occurs in certain materials that according to textbook quantum mechanics should be metals, but in reality turn insulators. A complex phenomenon controlled by the interactions of many quantum particles, the Mott transition remains mysterious—even whether or not it’s a classical or quantum phenomenon is not quite clear. Moreover, scientists have never directly observed a dynamic Mott transition, in which a phase transition from an insulating to a metallic state is induced by driving an electrical current through the system; the disorder inherent in real systems disguises Mott properties. At the University of Twente, researchers built a system containing 90,000 superconducting niobium nano-sized islands on top of a gold film. In this configuration, the vortices find it energetically easiest to settle into energy dimples in an arrangement like an egg crate—and make the material act as a Mott insulator, since the vortices won’t move if the applied electric current is small. When they applied a large enough electric current, however, the scientists saw a dynamic Mott transition as the system flipped to become a conducting metal; the properties of the material had changed as the current pushed it out of equilibrium. 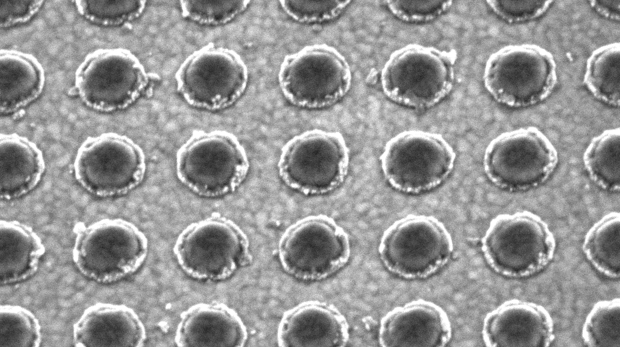 The vortex system behaved exactly like an electronic Mott transition driven by temperature, said Valerii Vinokur, an Argonne Distinguished Fellow and corresponding author on the study. He and study co-author Tatyana Baturina, then at Argonne, analyzed the data and recognized the Mott behavior. The system could further provide scientists with insight into two categories of physics that have been hard to understand: many-body systems and out-of-equilibrium systems. As the name implies, many-body problems involve a large number of particles interacting; with current theory they are very difficult to model or understand. “Furthermore, this system will be key to building a general understanding of out-of-equilibrium physics, which would be a major breakthrough in physics,” Vinokur said. The Department of Energy named five great basic energy scientific challenges of our time; one of them is understanding and controlling out-of-equilibrium phenomena. Equilibrium systems—where there’s no energy moving around—are now understood quite well. But nearly everything in our lives involves energy flow, from photosynthesis to digestion to tropical cyclones, and we don’t yet have the physics to describe it well. Scientists think a better understanding could lead to huge improvements in energy capture, batteries and energy storage, electronics and more. As we seek to make electronics faster and smaller, Mott systems also offer a possible alternative to the silicon transistor. 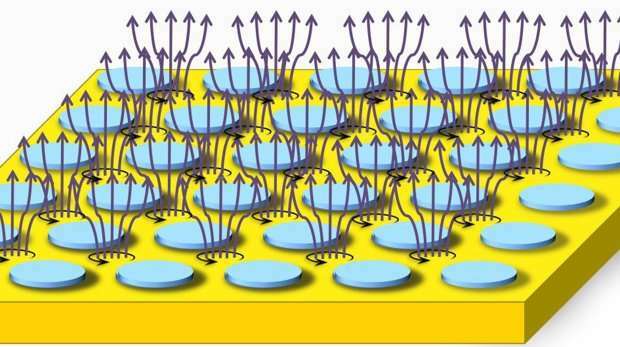 Since they can be flipped between conducting and insulating with small changes in voltage, they may be able to encode 1s and 0s at smaller scales and higher accuracy than silicon transistors. The results were printed in the study Critical behavior at a dynamic vortex insulator-to-metal transition, released today in Science. Other co-authors are associated with the Siberian Branch of Russian Academy of Science, the Rome International Center for Materials Science Superstripes, Novosibirsk State University, the Moscow Institute of Physics and Technology and Queen Mary University of London. A vortex structure emerges within a rotating Bose-Einstein condensate. There’s a mysterious threshold that’s predicted to exist beyond the limits of what we can see. It’s called the quantum-classical transition. If scientists were to find it, they’d be able to solve one of the most baffling questions in physics: why is it that a soccer ball or a ballet dancer both obey the Newtonian laws while the subatomic particles they’re made of behave according to quantum rules? Finding the bridge between the two could usher in a new era in physics. We don’t yet know how the transition from the quantum world to the classical one occurs, but a new experiment, detailed in Physical Review Letters, might give us the opportunity to learn more. The experiment involves cooling a cloud of rubidium atoms to the point that they become virtually motionless. Theoretically, if a cloud of atoms becomes cold enough, the wave-like (quantum) nature of the individual atoms will start to expand and overlap with one another. It’s sort of like circular ripples in a pond that, as they get bigger, merge to form one large ring. This phenomenon is more commonly known as a Bose-Einstein condensate, a state of matter in which subatomic particles are chilled to near absolute zero (0 Kelvin or −273.15° C) and coalesce into a single quantum object. That quantum object is so big (compared to the individual atoms) that it’s almost macroscopic—in other words, it’s encroaching on the classical world. The team of physicists cooled their cloud of atoms down to the nano-Kelvin range by trapping them in a magnetic “bowl.” To attempt further cooling, they then shot the cloud of atoms upward in a 10-meter-long pipe and let them free-fall from there, during which time the atom cloud expanded thermally. Then the scientists contained that expansion by sending another laser down onto the atoms, creating an electromagnetic field that kept the cloud from expanding further as it dropped. It created a kind of “cooling” effect, but not in the traditional way you might think—rather, the atoms have a lowered “effective temperature,” which is a measure of how quickly the atom cloud is spreading outward. At this point, then, the atom cloud can be described in terms of two separate temperatures: one in the direction of downward travel, and another in the transverse direction (perpendicular to the direction of travel). “This is only the start though. Like all lenses, a magnetic lens has an intrinsic limit to how well it can focus (or, in this case, collimate) the atoms. Ultimately, this limitation is given by the quantum uncertainty in the atom’s momentum and position. If the lensing technique performed at these physical limits, then the cloud’s transverse temperature would end up at a few femtoKelvin (10-15). That would be absolutely incredible. 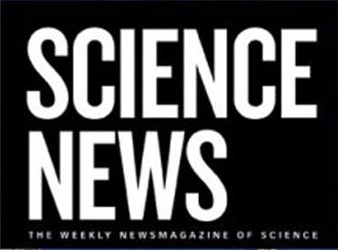 Jason Hogan, assistant professor of physics at Stanford University and one of the study’s authors, told NOVA Next that you can understand this last part by using the Heisenberg Uncertainty Principle. As a quantum object’s uncertainty in momentum goes down, its uncertainty in position goes up. Hogan and his colleagues are essentially fine-tuning these parameters along two dimensions. If they can find a minimum uncertainty in the momentum (by cooling the particles as much as they can), then they could find the point at which the quantum-to-classical transition occurs. And that would be a spectacular discovery for the field of particle physics.